Pioneer introduced the new generation of CD players for DJ, the CDJ-900NXS, an evolution from the CDJ-900 that ships with the rekordbox software. Denon DJ announces the v1.1.0 update for its Engine management software for the SC2900 and SC3900 players and controllers. 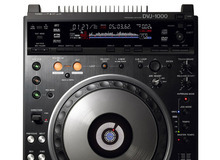 The CDJ-850-W and DJM-850-W have the same features as the original CDJ-850 and DJM-850, in a white finish. Pioneer unveils the CDJ-2000nexus, a multiplayer compatible with rekordbox software on iPhone, iPodtouch and iPad, Android smartphones and tablets.